The Boonjunmong Modern Apartments are a 6 minute (500 metre) walk from the multiplex cinema at Tesco Lotus Chaweng, which also has food court and large branch of Homepro. 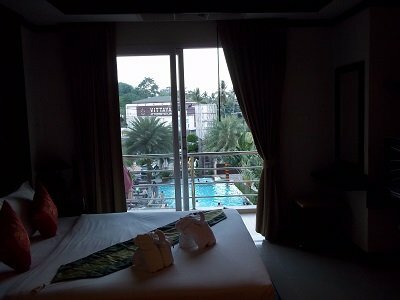 The price we paid for a night was only 1,000 THB and our expectations were not that high, but we were pleasantly surprised with what we got for our money. This is not a hotel as such – it has no facilities, except for a large swimming pool – but there is a reception office where you go to collect the keys on arrival. The rooms are surprisingly large. 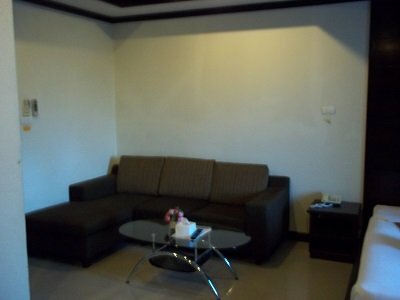 They come with balcony, sofa area, kitchen area and large bathroom. Beneath the hotel is an arcade of shops and restaurants including an Irish Bar which serves Western and Thai Food and a Spanish Tapas restaurant. Across the road there are branches of 7-Eleven and Family Mart. I had two small complaints about this room. There were no English language film channels on the TV and the room did not come with a kettle, or indeed any other cooking equipment in the kitchen area. This seemed like a shame on both counts as this was an otherwise really great room – the kind of place you could stay for a few weeks and feel very comfortable. The rooms are very large and have a separate seating area. I suspect that for longer stays some kitchen equipment would be provided and better satellite TV can be organised for a fee.. The location of this hotel is its selling point. Its on the same road as Tesco Lotus Chaweng, within a small shopping arcade with a shopping arcade around the edge of a large carpark. Our main reason to visit was to shop at Homepro and go to the cinema. Once we got to the apartments we did not need to hire a taxi or a rent a motorbike to get around. We were able to walk to where we wanted to go. 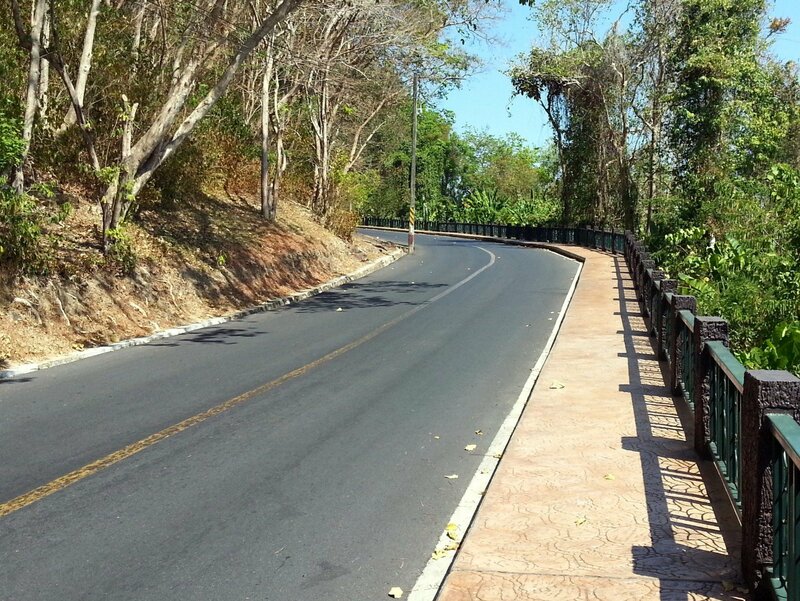 If you do need to travel further then it is very easy to do so because the Boonjumnong Modern Apartments are on the main ring road around the island and there are many passing shared taxis you flag down for inexpensive travel around the island. 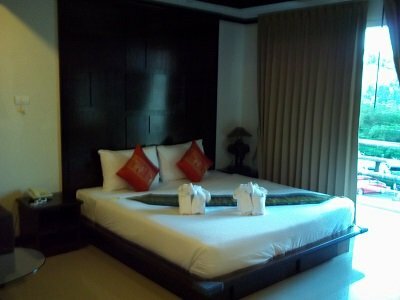 This is accommodation option represented good value for money. 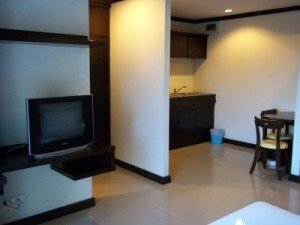 It is nowhere near the beach or the main street in Chaweng. 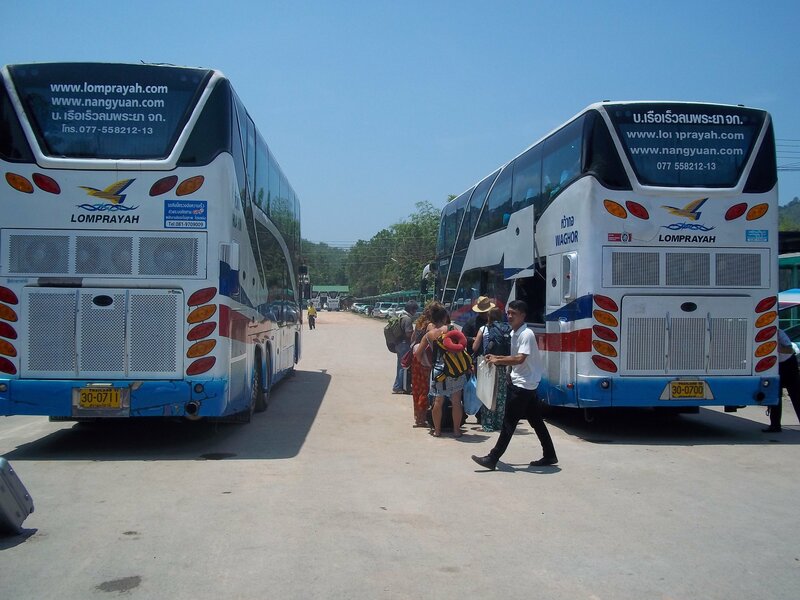 It is though perfect for a trip for Tesco Lotus Chaweng and the cinema. 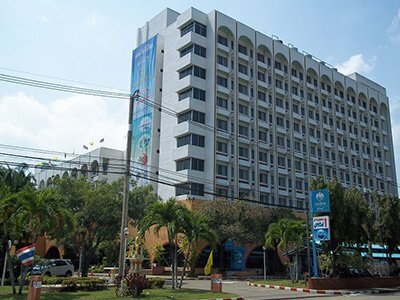 A lot of people who use this hotel are visiting from the neighbouring Islands of Koh Tao and Koh Phangan to do some shopping and go to watch a film. For that it is perfect. Avoiding the crowds of tourists is a bonus as well.